We hope you are set for this great holiday season! Here is our announcement on the restaurant Holiday Hours and the Student Discount! 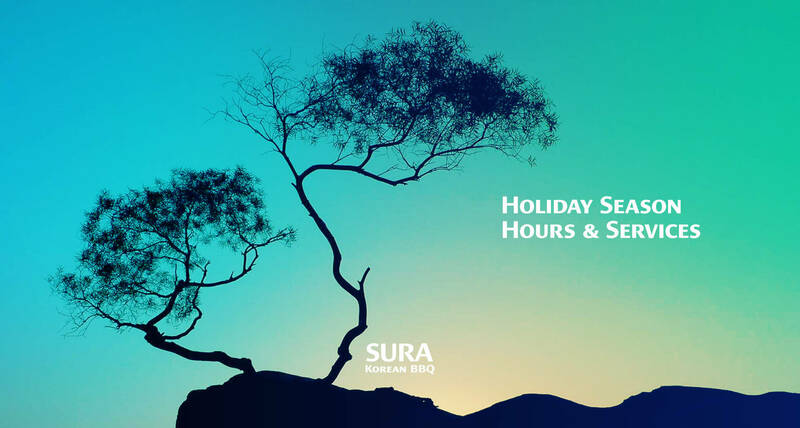 The Student Discount at SURA Korean BBQ restaurant in Richmond Aberdeen Centre will stay active through this holiday season! We will be closed on Christmas Day, December 25, 2014. If you have any other questions, please simply reach us at (604) 370-5540 or info@sura-koreanbbq.com!